Gannett8 doubled its November “sweeps” wins from a year ago, repeating as D-FW’s 10 p.m. champ in both major newscast ratings measurements while adding 5 and 6 p.m. firsts in the key 25-to-54-year-old advertiser demographic. Fox4 went in the opposite direction, duplicating its decisive 6 a.m. wins but falling from first to second at 5 and 6 p.m. in the 25-to-54-year-old measurement. NBC5 and CBS11 also got on the scoreboard. CBS11 repeated its 6 p.m. win in total viewers and NBC5 did likewise at 5 p.m. But on the plus side for the Peacock, it showed the overall most improvement from November 2013, increasing its audience in six of the eight major four-way battlegrounds. No rival station could say as much. The latest “sweeps” period ran from Oct. 30th to November 26th. Here are the complete results, with the numbers broken down to the third decimal point (.000) due to the closeness of some races. Year-to-year ups and downs are in parentheses. Comment: The orders of finish remained unchanged from a year ago, although Fox4 and NBC5 (with help from improved NBC network prime-time ratings) both made significant year-to-year improvements. This is more impressive in Fox4’s case. The station makes its own ratings bed with lead-ins from its local 9 p.m. Fox4 newscasts, which compete directly against often potent network attractions. The Fox network, which programs in prime-time from 7 to 9 p.m., is having a miserable season so far, often leaving Fox4’s 9 p.m. newscast to fend for itself after a starvation diet of meager 8 to 9 p.m. lead-in audiences. CBS11’s 10 p.m. newscasts were the only ones to lose year-to-year ground in both measurements. The station’s situation among 25-to-54-year-olds remains dire. Comment: Fox4 remains well ahead of its three rivals while CBS11 lost significant ground from a year ago. The station had only half of its regular foursome in place after the dismissal of news anchor Brendan Higgins and the resignation of traffic reporter Whitney Drolen. Jason Allen and Tammy Dombeck respectively filled in, although there’s a chance (probably a slight one) that one or both could become permanent members of the CBS11 morning team. Gannett8 dropped from second to third in total viewers after narrowly beating NBC5 a year ago. Comment: Gannett8 was the only station to better its year-to-year performance among 25-to-54-year-olds, moving from second to first place in the process. Fox4 remained last in total viewers while losing more 25-to-54-year-olds than its three rivals combined. NBC5 had the biggest year-to-gain in total viewers, inching into second place after trailing Gannett8 by nearly 11,000 viewers last November. CBS11 remained on top in overall viewership but had a big audience dip from a year ago. Comment: NBC5 made major strides in total viewers while repeating as the champ at this hour. Fox4 significantly upped its total viewership but plummeted among 25-to-54-year-olds after finishing a runaway first last November. This enabled Gannett8 to take the top spot after a distant second place finish a year ago. NBC5 also closed in on Fox4. In other local newscast results . . .
***NBC5 won a three-way battle at 4 p.m. in both total viewers and 25-to-54-year-olds. CBS11 was the runner-up ahead of Gannett8 in total viewers while the two stations traded places in the 25-to-54 demographic. ***The four stations all have “midday” newscasts, but at varying times. NBC5’s and CBS11’s square off at 11 a.m. while Fox4 and Gannett8 both begin at noon. In this overall realm, CBS11 had the most total viewers, edging Gannett8 while NBC5 and Fox4 trailed in that order. Among 25-to-54-year-olds, Fox4 ran first, followed by Gannett8, CBS11 and NBC5. ***Fox4’s 9 p.m. local newscast again crushed CW33’s competing, homegrown, anchor-less NewsFix. In total viewers, Fox4 had 148,476 to NewsFix’s 8,718. Among 25-to-54-year-olds, the score was 73,403 to 5,897. The Dallas Cowboys’ worst loss of the season, a 33-10 Thanksgiving Day thrashing by the Eagles, inched past the 1.5 million viewers mark but fell well short of this season’s most-watched game. Shown on Fox and running until 6:49 p.m., Cowboys-Eagles averaged 1,527,306 D-FW viewers to become the fifth of 12 games this season to draw more than 1.5 million. The record holder remains the Cowboys’ Oct. 12th upset win at Seattle, which averaged 1,604,020 viewers on Fox. Among advertiser-prized 18-to-49-year-olds, Philadelphia’s Thanksgiving feasting on the Cowboys drew 655,990 viewers. The Cowboys-Seahawks game remains the top draw in this key demographic with 747,451 viewers. CBS’ earlier Lions-Bears game ranked second on Thanksgiving’s pro football charts with 899,646 total viewers. NBC’s after-dark Seahawks-49ers game ran a distant third with 516,078 viewers. All three games were one-sided. The Peacock’s prime-time NFL game surprisingly was outdrawn by NBC’s annual Macy’s Thanksgiving Day Parade presentation, which averaged 550,946 total viewers in morning hours. CBS’ competing parade coverage chipped in with an additional 181,324 viewers before giving way to the Lions-Bears game. D-FW ratings for TCU’s rout of Texas, shown on Fox Sports 1, were not immediately available. Local news derby results were inoperative. Fox4, NBC5, Gannett8 and CBS11 all took holiday exemptions, which means the ratings don’t officially count. ABC’s Dancing with the Stars finale used to be a big rhumba in the ratings. But on Tuesday night, the latest close-out couldn’t even win its full two-hour time slot in D-FW. CBS’ NCIS: New Orleans thumped the first hour of DWTS in total viewers by a score of 418,440 to 265,012. The 9 to 10 p.m. second hour of DWTS then had enough juice to outdraw CBS’ competing Person of Interest -- 278,960 viewers to 216,194. Among advertiser-prized 18-to-49-year-olds, DWTS was beaten by NCIS: New Orleans from 7 to 8 p.m. and also by Fox’s New Girl from 7 to 7:30 p.m. DWTS then won the 9 to 10 p.m. hour by a paper-thin margin over Fox4’s local newscast. Then again, Monday’s two-hour performance edition of The Voice had enough oomph to rank as the night’s top show in both total viewers and 18-to-49-year-olds. But regular network programming on rival networks was knocked off stride by break-in live coverage of events in Ferguson, Missouri. Here are the Monday and Tuesday local news derby results for the 18th and 19th weekdays of the 20-weekday November “sweeps” ratings period. Monday -- Fox4 won at 10 p.m. in both total viewers and 25-to-54-year-olds (main advertiser target audience for news programming). NBC5, Gannett8 and CBS11 all got late starts because of their networks’ Ferguson coverage. Fox4 swept the 6 a.m. competitions and CBS11 did likewise at 6 p.m. NBC5 countered by running the table at 5 p.m.
Tuesday -- Gannett8 had twin wins at 10 p.m. and also scored a rare win at 6 a.m. in total viewers. Fox4, the usual early morning frontrunner, had the most 25-to-54-year-olds at 6 a.m.
CBS11 swept the 6 p.m. Nielsens and added a 5 p.m. win in total viewers. Fox4 and Gannett8 shared first place at 5 p.m. in the 25-to-54 demographic. CBS11 has been surging at 6 p.m. in the total viewers measurement, winning 7 of the last 8 weekdays down the backstretch of the sweeps. The Dallas Cowboys’ 31-28 comeback win against the New York Giants, played on NBC’s national prime-time stage, surprisingly fell a little shy of the 1.5 million viewers mark in D-FW. Four previous games this season, led by Dallas’ upset win at Seattle on Fox, have surpassed that total. On Sunday Night Football, Cowboys-Giants averaged 1,457,566 viewers. A total of 678,067 were in the advertiser-prized 18-to-49 motherlode. The win against Seattle is still the only Cowboys game to surpass 1.6 million viewers, with a final count of 1,604,020. ABC’s competing American Music Awards Sunday managed to scrape up 160,402 total viewers, with 63,076 in the 18-to-49 demographic. CBS’ regular Sunday night drama lineup, again delayed by a football overrun, outdrew the American Music Awards throughout the night. On Saturday, a lackluster lineup of college football games was led by Fox’s prime-time telecast of Baylor’s win over Oklahoma State. The game averaged 181,324 total viewers. Over on TXA21, the Dallas Mavericks’ narrow loss at Houston ran a respectable second with 160,402 viewers. Friday’s prime-time winners were CBS’ Hawaii Five-0 in total viewers (285,934) and ABC’s Shark Tank among 18-to-49-year-olds (91,460). Here are Friday’s local news derby results for the 17th weekday of the 20-weekday November “sweeps,” which end on the day before Thanksgiving. CBS11 won at 10 p.m. in total viewers while Gannett8 ran first with 25-to-54-year-olds (main advertiser target audience for news programming). Fox4 notched another sweep at 6 a.m. and CBS11 ran the table at 5 p.m. CBS11 also had the most total viewers at 6 p.m. while tying Fox4 for the top spot with 25-to-54-year-olds. The so-called “winter finales” of ABC’s three Shonda Rhimes-produced melodramas provided a big night for the network after CBS’ The Big Bang Theory as usual opened Thursday with a runaway win. Big Bang drew 418,440 D-FW viewers while also dominating its time slot among advertiser-prized 18-to-49-year-olds with a haul of 138,767. CBS’ following Mom also won from 7:30 to 8 p.m. in total viewers (265,012), holding off the second half of ABC’s competing Grey’s Anatomy (230,142). Otherwise it was all ABC, with Grey’s beating Mom in the 18-to-49 demographic before the network’s 8 to 10 p.m. combo of Scandal and How to Get Away with Murder thumped everything in sight in both ratings measurements. Scandal had 271,986 total viewers, with 94,614 in the 18-to-49 realm. How to Get Away with Murder improved on each count with respective totals of 278,960 and 107,229 viewers. Thursday’s worst broadcast network performers in both ratings measurements were NBC’s A to Z and Bad Judge, both of which are loitering in prime-time after being canceled. The two sitcoms ran fifth among 18-to-49-year-olds from 8 to 9 p.m., trailing ABC, CBS, Fox and The CW’s Reign. Over on cable’s NFL Network, the previously winless Oakland Raiders’ upset of the Kansas City Chiefs averaged 153,428 total viewers, with 66,230 in the 18-to-49 age range. Here are the local news derby results for the 16th weekday of the 20-weekday November “sweeps” rating period. Gannett8 solidified its hold on the 10 p.m. race with decisive wins in both total viewers and 25-to-54-year-olds (main advertiser target audience for news programming). Fox4 likewise maintained a firm grip at 6 a.m. with another doubleheader win. The 5 p.m. golds both went to NBC5 while the 6 p.m. spoils were split between CBS11 in total viewers and Fox4 in the 25-to-54 measurement. ’Tis the season for Thanksgiving-themed sitcom specials. But Survivor and crime instead prevailed over ABC’s quartet in Wednesday’s prime-time Nielsens. CBS started strong with Survivor, which won the 7 p.m. hour with 265,012 D-FW viewers and 85,153 in the advertiser-prized 18-to-49-year-old demographic. The network’s Criminal Minds held serve at 8 p.m. with 298,936 total viewers and 107,229 in the 18-to-49 age range. NBC’s Chicago P.D. then took over. It topped the 9 p.m. hour in both ratings measurements with respective totals of 223,168 and 78,845 viewers. ABC’s holiday feast of The Middle, The Goldbergs, Modern Family and black-ish came up something of a turkey. All four comedies ran third in total viewers, with The Middle and The Goldbergs also taking the bronzes among 18-to-49-year-olds. Modern Family and black-ish moved up a notch to second place in this key demographic. Also of note: Wednesday’s biggest draw in total viewers wasn’t anything in prime-time. It was CBS11’s 6:30 p.m. edition of Wheel of Fortune, which rolled to 313,830 viewers. Wheel also beat the three competing rag mags among 18-to-49-year-olds, but Criminal Minds was Wednesday’s top draw in that realm. Here are the local news derby results for the 15th weekday of the 20-weekday November “sweeps” ratings period. NBC5 came up big at 10 p.m. with first place finishes in both total viewers and 25-to-54-year-olds (main advertiser target audience for news programming). Fox4 notched another pair of wins at 6 a.m. while Gannett8 ran the table at 6 p.m. The 5 p.m. golds went to NBC5 in total viewers and Gannett8 with 25-to-54-year-olds. CBS’ NCIS and its New Orleans running mate again racked up Tuesday’s biggest D-FW viewer totals. NCIS led off with 474,232 viewers to easily outdraw NBC’s runner-up The Voice (278,960) in the 7 p.m. hour. NCIS: New Orleans barely missed a beat with 460,284 viewers at 8 p.m.
CBS’ slumping Person of Interest then broke up the party, dipping to 202,246 viewers in losing to NBC’s competing Chicago Fire (216,194 viewers). NCIS also won its time slot among advertiser-prized18-to-49-year-olds before Fox’s New Girl entered the winner’s circle from 8 to 8:30 p.m. The second half of NCIS: New Orleans then thumped Fox’s The Mindy Project. But Person of Interest fell to third behind the frontrunning Chicago Fire and Fox4’s 9 p.m. local newscast. The CW’s biggest demographic hit of the season, The Flash, ran an impressive third with 18-to-49-year-olds, beating both Fox’s Masterchef Junior and ABC’s Shark Tank repeat. It also came close to outdrawing The Voice in the 7 p.m. face-offs. Here are Tuesday’s local news derby results on the 14th weekday of the 20-weekday November “sweeps” ratings period. CBS11 had its best day in quite a while, tying Gannett8 for the most total viewers at 10 p.m. and winning outright among 25-to-54-year-olds (main advertiser target audience for news programming). CBS11 also swept the 5 p.m. competitions and had the most total viewers at 6 p.m.
Fox4 ran the table at 6 a.m. while Gannett8 was No. 1 with 25-to-54-year-olds at 6 p.m. The last new broadcast network series of the fall season fared fairly well Monday night. Premiering in place of The Blacklist, NBC’s State of Affairs ran a close second in total D-FW viewers at 9 p.m. while winning by a small margin among advertiser-coveted 18-to-49-year-olds. Affairs, starring Katherine Heigl as a traumatized CIA presidential briefer, drew 230,142 total viewers in finishing a close second to CBS’ competing NCIS: Los Angeles (237,116 viewers). ABC’s Castle was right behind both of them with 223,168 viewers. Among 18-to-49-year-olds, State of Affairs ran first in its time slot with 66,230 viewers, edging Fox4’s 9 p.m. local newscast (63,076) while NCIS: L.A. fell from first to fourth (34,692). There’s an asterisk, though. ESPN’s Monday Night Football matchup, Pittsburgh vs. Tennesse, outdrew all of the Big Four broadcast network offerings in the key 18-to-49 demographic while also winning in total viewers from 8 p.m. to its 10:17 p.m. conclusion. The first half of NBC’s The Voice won from 7 to 8 p.m. in total viewers. ABC’s latest two hours of Dancing with the Stars continued to run north of Forest Lawn among 18-to-49-year-olds, drawing just 34,692 from 7 to 9 p.m. before Castle upticked to 56,768. DWTS lost to everything except CBS’ 7:30 p.m. episode of The Millers, which now is officially canceled. Fox’s lone fall season bright spot, Gotham, ran second among 18-to-49-year-olds in the Big Four broadcast network universe. Its 72,537 viewers in the 7 p.m. hour more than doubled the DWTS total. The CW’s Jane the Virgin finished on the heels of DWTS from 8 to 9 p.m. with 34,692 viewers in the 18-to-49 realm. DWTS’ total of 18-to-49-year-olds rose a bit to 40,999 in that hour. The Dallas Mavericks’ road rout of the Charlette Hornets on Fox Sports Southwest averaged 48,818 total viewers with 18,923 in the 18-to-49 demographic. Here are Monday’s local news derby results on the 13th weekday of the 20-weekday November “sweeps” ratings period. NBC5 had the most total viewers at 10 p.m. while Fox4 led with 25-to-54-year-olds (main advertiser target audience for news programming). Fox4 notched another doubleheader win at 6 a.m. and CBS11 swept the 6 p.m. competitions. NBC5 won in total viewers at 5 p.m. and tied Gannett8 for the top spot with 25-to-54-year-olds in a very close four-way battle. Fox had seen enough after Green Bay Packers’ defender Julius Peppers picked off another errant Mark Sanchez pass and returned it for a TD to put the Philadelphia Eagles on the short end of a 39-6 demolition derby that eventually ended 53-20. So in D-FW and other TV markets, the network bailed at 5:32 p.m. to a “more competitive” but largely colorless game between the Arizona Cardinals and Detroit Lions. That didn’t stop the short-sheeted Packers-Eagles game from easily being Sunday’s top pro football attraction. While still breathing in D-FW, it averaged 760,166 viewers. NBC’s Sunday Night Football, a marquee quarterback matchup between Tom Brady’s Patriots and Andrew Luck’s Colts, finished a distant second with an average of 495,154 viewers. But it still dominated the prime-time landscape, with CBS’ regular drama lineup of Madam Secretary, The Good Wife and CSI running second from 7 to 10 p.m.
Saturday’s college football parade was paced by the big-time matchup between Alabama and Mississippi State. Ending at 6:13 p.m on CBS, the game drew 230,142 viewers. Over on the less visible Fox Sports 1 network, TCU’s narrow escape at Kansas competed mostly against Bama-Miss. State. It averaged 118,558 viewers to run fourth for the day behind ABC’s prime-time Florida State-Miami face-off (209,220 viewers) and Fox’s after-dark telecast of Texas’ win over Oklahoma State (195, 272 viewers). Friday’s top prime-time achiever, ABC’s Shark Tank, had 237,116 viewers in the 8 p.m. hour. It also triumphed among advertiser-prized 18-to-49-year-olds, making Friday’s biggest haul with 69,384. CBS bombed big-time by preempting its potent Friday night lineup of The Amazing Race, Hawaii Five-0 and Blue Bloods with the Hollywood Film Awards and a one-hour “after party.” The two-hour awards show drew just 67,940 total viewers before its followup hour dipped to 41,844 viewers. The 18-to-49 Nielsens were even worse, with CBS running a very distant fourth all night in this key demographic before CBS11’s 10 p.m. newscast registered “hashmarks” (no measurable audience). On Thursday night, CBS won the first hour of prime-time in total viewers with The Big Bang Theory (488,180) and Mom (271,986) before ABC mopped up with No. 1 finishes for Scandal (306,856) and How to Get Away with Murder (258,038). Big Bang also won its 7 to 7:30 p.m. slot with 18-to-49-year-olds before the second half of Grey’s Anatomy, Scandal and How to Get Away with Murder took charge from 7:30 to 10 p.m. The Thursday night football game on NFL Network -- Dolphins vs. Bills -- averaged 209,220 total viewers. Here are the Thursday and Friday local news derby results for Days 11-12 of the 20-weekday November “sweeps” ratings period. Thursday -- Gannett8 continued to cruise at 10 p.m. with wins in both total viewers and 25-to-54-year-olds (main advertiser target audience for news programming). Fox4 and NBC5 tied for the most total viewers at 6 a.m., but Fox4 was alone on top with 25-to-54-year-olds. The Peacock ran the table at 5 p.m. while Gannett8 did likewise at 6 p.m.
Friday -- Gannett8 had the most total viewers at 10 p.m. while Fox4 won among 25-to-54-year-olds. Fox4 swept the 6 a.m. competitions and Gannett8 ran first at 5 and 6 p.m. with 25-to-54-year-olds. The total viewer golds at 5 and 6 p.m. respectively went to NBC5 and CBS11. Unclebarky.com launched more than eight years ago as the D-FW market’s only independent local and national TV website. There have never been any of those irksome pop-up ads (not that I’d know how to do them, anyway). Nor have there been any subscriber fees (and never will be). Here’s one way you can help, though, and what better time than the holiday season. If you’re an amazon.com shopper, simply click first on any amazon ad on any unclebarky.com page. You’ll be taken directly to amazon.com to make the purchases you were going to make anyway. The difference being that a small commission will go to your friendly content provider for any buys you make. The size of the commission will depend on the amount you spend. No purchase is too small, and certainly none are too big. In the past, the holiday months of November and December have generated the heaviest traffic to amazon via unclebarky.com. The money doesn’t exactly pour in. But even $100 a month in commissions covers the expenses of running this site. Anyway, that’s the pitch, and feel free to tell a friend. Above all, your support and continued readership are always much appreciated. In fact, they’re priceless. NBC rode its regular prime-time lineup to a wall-to-wall ratings win in total viewers before hitting a few bumps among advertiser-prized 18-to-49-year-olds. The Voice ranked as Wednesday night’s biggest overall draw with 334,752 D-FW viewers before the Peacock’s Law & Order: SVU (271,986) and Chicago P.D. (258,038) likewise won their time slots. The Voice also prevailed with 18-to-49-year-olds, leading the 7 p.m. hour with 75,691 viewers in this key demographic. ABC’s Modern Family then took over with 107,229 viewers before the second half of SVU edged ABC’s black-ish by a score of 88,306 to 85,153 viewers. Fox4’s 9 p.m. local newscast rose up to win that hour with 81,999 viewers in the 18-to-49 realm while Chicago P.D. ran a close second with 78,845. Gratifyingly, viewers are getting weary of CBS’ new Stalker, which had a strong start but now is withering. Its latest episode ran fourth at 9 p.m. in both total viewers and with 18-to-49-year-olds. Here are the local news derby results for the 10th weekday of the 20-weekday November “sweeps” ratings period. Gannett8 stayed strong at 10 p.m. with wins in both total viewers and 25-to-54-year-olds (main advertiser target audience for news programming). Fox4 cruised to another pair of 6 a.m. wins and added a 5 p.m. sweep. At 6 p.m., Fox4 and CBS11 tied for the most total viewers but Fox4 had the top spot to itself with 25-to-54-year-olds. incoming CBS11 reporters Gabriel Roxas and Jeff Paul. D-FW’s CBS11 is adding two reporters -- Gabriel Roxas and Jeff Paul -- to its news staff. Director of communications Lori Conrad confirmed both hires Wednesday, and said that Roxas starts on Dec. 8th and Paul on Dec. 15th. Roxas arrives from ABC affiliate KXTV-TV (News 10), where he has spent the last two years. 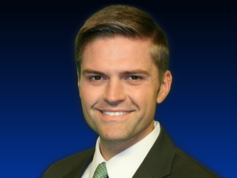 He also has worked for TV stations in Yakima, WA and Lexington, KY.
Paul used the name Jeff Skrzypek during his three years with NBC station WPTV-TV in West Palm Beach, FL. Boiling it down to Paul makes his surname pronounceable even for famed fictional anchor Ted Baxter of The Mary Tyler Moore Show. NBC5 weekend morning meteorologist Lindsay Riley, who’s leaving the station on Nov. 17th, went the same route by downsizing from the previous Lindsay Schwarzwaelder. Paul/Skrzypek also has been a reporter for KEZI-TV in Eugene, OR. NBC rolled to total dominance among advertiser-prized 18-to-49-year-olds while CBS again notched a pair of total viewer wins with its two NCIS hours. Tuesday night’s biggest overall draw, just plain NCIS, drew 355,674 D-FW viewers in the 7 p.m. hour before NCIS: New Orleans barely held serve with a 320,804 to 313,830 win over the second hour of NBC’s The Voice. The Peacock’s Chicago Fire then easily won at 9 p.m. with 237,116 viewers. NBC had a cakewalk among 18-to-49-year-olds, with The Voice averaging 110,383 for its full two hours before Chicago Fire nabbed 72,537 viewers in this key demographic. ABC’s Tuesday prime-time woes continued, with its first-year series Forever likely to last just a few more weeks after drawing just 48,818 total viewers and 18,923 in the 18-to-49 motherlode. On the other hand, CBS’ slumping Person of Interest ran a bit behind Forever at 9 p.m. in the 18-to-49 realm while tripling the latter series’ meager haul of total viewers. NBC5 had the most total viewers at 10 p.m. but Gannett8 overcame the weak lead-in from Forever to win comfortably among 25-to-54-year-olds (main advertiser target audience for news programming). It should be noted that Gannett8 is starting to perform like its old self at 10 p.m. Although running second in total viewers, the station more than tripled its inheritance from Forever while rivals Fox4, NBC5 and CBS11 all lost ground from their network lead-ins. Fox4 again swept the 6 a.m. competitions, with a particularly dominant performance among 25-to-54-year-olds. NBC5 drew the most total viewers at both 5 and 6 p.m. The 25-to-54 golds at those hours respectively went to Fox4 and Gannett8. Another one-sided edition of ESPN’s Monday Night Football still had enough juice to outdraw the usual array of potent broadcast network attractions. The Philadelphia Eagles’ thrashing of the clawless Carolina Pussycats averaged 313,830 D-FW viewers, with the audience falling off as the game wore on until 10:42 p.m. But a bigger crowd -- 376,596 viewers -- watched the first 90 minutes of the game while the 7:30 to 9 p.m. portion of NBC’s The Voice ran second with 348,700 viewers. MNF also beat the fall season finale of NBC’s The Blacklist by a score of 292,908 viewers to 265,012. It was the same story among advertiser-prized 18-to-49-year-olds, with MNF cruising to a clean sweep. Over on Fox, Gotham continued to be the network’s lone bright spot this fall. Its 216,194 total viewers in the 7 p.m. hour were enough to beat both ABC’s Dancing with the Stars and CBS’ comedy combo of 2 Broke Girls and The Millers. The Batman prequel also easily beat those two rivals in the 18-to-49 demographic, with DWTS plunging to just 28,384 viewers in this key measurement while Gotham had 110,383. Here are Monday’s local news derby numbers for the 8th weekday of the 20-weekday November “sweeps” ratings period. Gannett8 ran first at 10 p.m. in both total viewers and 25-to-54-year-olds, the main advertiser target audience for news programming. Fox4 notched another 6 a.m. sweep while NBC5 ran the table at 5 p.m. The 6 p.m. golds went to CBS11 in total viewers and Fox4 among 25-to-54-year-olds. 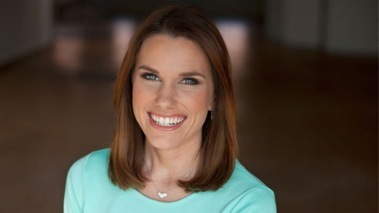 After a two-year stint, weekend morning meteorologist Lindsay Riley is leaving NBC5 for a yet to be disclosed Monday-Friday position in a “strong market,” the Fort Worth-based station says. News director Susan Tully announced Riley’s departure to NBC5 staffers last week while your friendly content provider was otherwise occupied on medical leave. 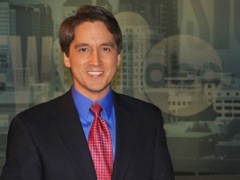 Riley joined the station in November 2012 and also filled in on other newscasts. She’ll remain with NBC5 until Nov. 17th. Tully said that Riley’s next venture will be disclosed when “all parties are ready to announce” it. Riley has not returned a message asking for more particulars. But WTTV-TV, the Tribune Broadcasting-owned CW affiliate in Indianapolis, announced Wednesday that she’ll be the new meteorologist for the station’s weekday 5 a.m. and noon newscasts. Riley arrived at NBC5 after two years at Lexington, KY’s WLEX-TV. While at that station, Riley used the name Lindsay Schwarzwaelder on the air. Riley’s departure from NBC5 was first posted by the Fort Worth Star-Telegram’s Robert Philpot. All of the attendant Tony Romo drama plus the unique London setting couldn’t overcome the fact that the Dallas Cowboys were playing -- the lowly no-name Jacksonville Jaguars. A lopsided score and the early noon start also were detriments. All of which adds up to the second lowest D-FW crowd of the regular season for the Cowboys’ 31-17 win on Fox. Running until 3:14 p.m., the game averaged 1,080,970 viewers, with 466,762 of them advertiser-prized 18-to-49-year-olds. That was still good enough to outpoint the Sept. 21st Cowboys-Rams game on Fox, which drew just 894,764 total viewers on Fox. But Cowboys-Jags fell just short of the next least-watched game, a Sept. 14th win over theTitans that averaged 1,093,600 viewers on Fox. Fox also has this season’s most-watched Cowboys game. Their stunning Oct. 12th win over the defending Super Bowl champion Seattle Seahawks pulled in 1,604,020 viewers, with 747,451 in the 18-to-49 demographic. Immediately following the Cowboys game, Fox aired the overtime conclusion of the 49ers-Saints game, which ended at 3:41 p.m. It amassed 878,724 total viewers, a huge number for a non-Cowboys regular season attraction. The following Giants-Seahawks game on Fox then averaged 585,816 viewers. NBC’s Sunday Night Football attraction, the Packers’ 55-14 obliteration of the Bears, ground to a halt at 10:53 p.m. Viewers steadily tuned out, leaving the game with an overall average of 362,648 viewers. Let’s move to Saturday’s cavalcade of high-powered college football games. Texas A&M’s out-of-nowhere 41-38 upset of No. 3 Auburn, which ended at 6:28 p.m., averaged 271,986 viewers on CBS, falling short of TCU’s big prime-time 41-20 rout of Kansas State on Fox (292,908 viewers). TCU-K State ended at 10:03 p.m., with viewers then shifting in big numbers to CBS’ ongoing Alabama-LSU face-off. Ending at 11:09 p.m. with a Bama overtime win, the game averaged 251,064 viewers overall. Meanwhile on ABC, few were interested in the prime-time Big Ten showdown between victorious Ohio State and Michigan State. It had just 62,766 viewers. Over on Fox Sports 1, Baylor’s 48-14 smashing of Oklahoma, which had an early 11 a.m. start time, averaged 125,532 viewers before Texas’ 33-16 win over West Virginia, also on Fox Sports 1, drew 83,688 viewers. The weekday prime-time ratings were paced by ABC’s annual three-hour Country Music Association awards. Shown live from 7 to 10 p.m. Wednesday, they drew 488,180 viewers. That bested the week’s usual top draw, CBS Thursday episode of The Big Bang Theory (383,570 viewers). During your friendly content provider’s medical leave, the local newscast ratings wars heated up with the first full week of the November “sweeps,” which started on Thursday, Oct. 30th. Here are the Monday-Friday results in the four major four-way war zones. Monday -- NBC5 won at 10 p.m. in total viewers but Fox4 was tops with 25-to-54-year-olds (main advertiser target audience for news programming). Fox4 swept the 6 a.m. competitions and added a 5 p.m. win among 25-to-54-year-olds. Gannett8 won at 6 p.m. in total viewers and nipped Fox4 by a paper thin margin in the 25-to-54 demographic. NBC5 had the most total viewers at 5 p.m.
Tuesday -- Gannett8 dominated the 10 p.m. competitions with twin wins while Fox4 again ran the table at 6 a.m. NBC5 had the most total viewers at both 5 and 6 p.m. Among 25-to-54-year-olds, Gannett8 and the Peacock tied at 5 p.m., with Gannett8 winning outright at 6 p.m.
Wednesday -- Inheriting a major lead-in advantage from the CMAs, Gannett8 cashed in and romped to easy 10 p.m. wins in both ratings measurements. Fox4 likewise won decisively on both counts at 6 a.m. NBC5 and CBS11 shared the total viewers lead at 6 p.m. while Fox4 broke through with a narrow first place finish over Gannett8 among 25-to-54-year-olds. The 5 p.m. golds went to NBC5 in total viewers and Gannett8 narrowly over the Peacock in the 25-to-54 age range. Thursday -- Gannett8 had the most total viewers at 10 p.m. and Fox4 took the 25-to-54 gold. Fox4 remained strong at 6 a.m. with another doubleheader win. Gannett8, continuing what’s been a surprisingly strong showing in the early evening, ran the table at 6 p.m. and also topped the 5 p.m. Nielsens among 25-to-54-year-olds. NBC5 had the most total viewers at 5 p.m.
Friday -- CBS11 got some rare good news for the week with a 10 p.m. win in total viewers. It also had a sizable lead-in advantage from its network’s Blue Bloods. Fox4 and Gannett8 tied for first among 25-to-54-year-olds. Fox4 completed a Monday-Friday sweep with another pair of 6 a.m. wins. NBC5 likewise ran the table at 6 p.m. and notched a 5 p.m. win in total viewers. Fox4 and NBC5 shared first place at 5 p.m. in the 25-to-54 realm. A noon start never helps, and backup quarterback Brandon Weeden was no help at all. That combination knocked the Dallas Cowboys off their ratings game, too. Sunday’s 28-17 home loss to Arizona on Fox averaged 1,206,502 D-FW viewers after the previous two games surpassed the 1.5 million mark. Among advertiser-coveted 18-to-49-year-olds, Cowboys-Cardinals drew 501,454 viewers. That’s not exactly “skewing old,” but is well below a 50 percent turnout. CBS then presented the marquee New England Patriots-Denver Broncos face-off, again pitting future Hall of Famers Tom Brady and Peyton Manning and again won by the Pats. Stretching to 6:57 p.m., the game averaged 613,712 total viewers and 239,689 within the 18-to-49 motherlode. NBC’s Sunday Night Football attraction, another bruiser between the arch rival Pittsburgh Steelers and Baltimore Ravens, ran all the way to 11:09 p.m. It drew 362,648 viewers overall, with 167,151 in the 18-to-49 age range. The CBS Sunday prime-time lineup again held steadiest in total viewers, with CSI: Crime Scene Investigation preempted by the football over-run. 60 Minutes, which was delayed to a 7:02 p.m. start time, fared the best with 418,440 total viewers. The first half didn’t have to go against NFL football and the 7:30 to 8 p.m. portion of 60 Minutes edged ahead of Steelers-Ravens. On Saturday, TCU’s 31-30 win at West Virginia on a game-ending field goal led the college football parade with an average of 244,090 total viewers. Shown on ABC, it ended at 6:02 p.m. Texas’ win at Texas Tech on Fox Sports 1 led Saturday’s prime-time college football attractions with 125,532 total viewers while the Dallas Mavericks’ road win at New Orleans on Fox Sports Southwest drew 62,766 viewers. Let’s slide over to Friday’s prime-time results, where CBS won from start to stop in total viewers with its regular lineup of The Amazing Race (160,402), Hawaii Five-0 (174,350) and Blue Bloods (278,960). Amazing Race and Blue Bloods also topped their time slots among 18-to-49-year-olds, but ABC’s Shark Tank broke through with an 8 p.m. win. NBC appears to have a big clinker in the new Constantine. Its second episode ran a distant fourth at 9 p.m. Friday in both ratings measurements, drawing just 55,792 total viewers. Here are Friday’s local news derby results on the second weekday of the ongoing November “sweeps” ratings competition. Gannett8 ran first at 10 p.m. in total viewers and 25-to-54-year-olds, the main advertiser target audience for news programming. Fox4 and Gannett8 tied for the top spot at 6 a.m. in total viewers but Fox4 won outright among 25-to-54-year-olds. At 5 p.m., both Fox4 and NBC5 opted for a Halloween holiday designation, meaning their Friday newscast ratings won’t be counted in the final November sweeps mix. CBS11 joined in at 6 p.m., leaving only Gannett8 to book its numbers. This didn’t work out very well for Gannett8’s rivals. The station tied with CBS11 for the most total viewers at 5 p.m., even though NBC5 would have ranked first had the Peacock not opted out. At 6 p.m., Fox4 had the most total viewers and CBS11 ranked second ahead of Gannett8. But neither of those results count. Gannett8 won at 5 p.m. among 25-to-54-year-olds regardless of what stations were in or out. But Fox4’s win at 6 p.m. in that demographic is negated by the holiday designation. LOCAL NEWS NOTE: D-FW’s Telemundo39 is premiering a half-hour 4:30 p.m. Spanish language newscast, Noticiero Telemundo39 on Monday, Nov. 3rd. Enrique Teutelo and Norma Garcia are the news anchors, with Nestor Flecha handling the weather and Ramon Diaz doing the sports segments. The newscast will originate from a new set within the Studios at DFW, which also houses corporate partner NBC5.